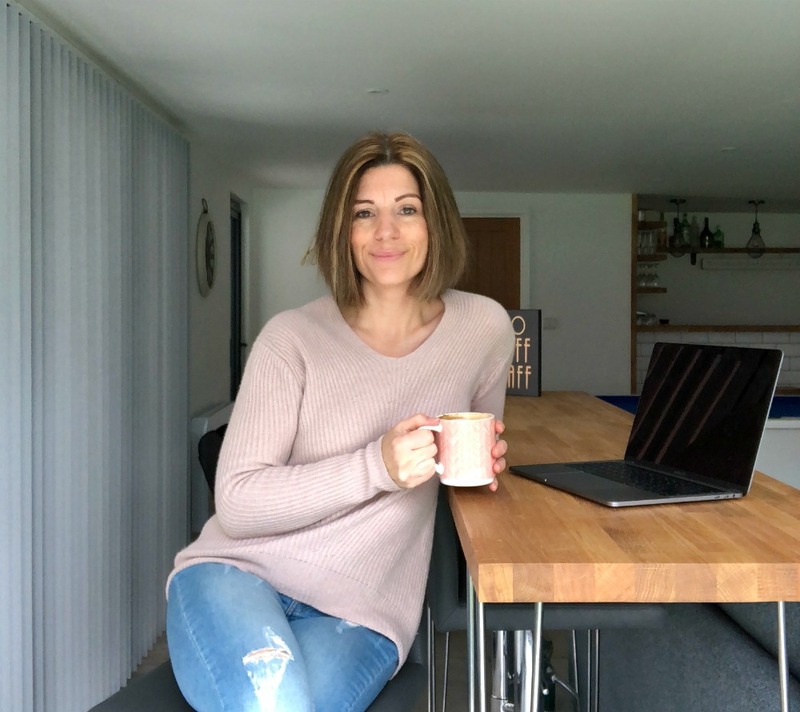 It’s been a while since I wrote a chatty post but it’s halfway through summer, we’ve been on holiday, and I am feeling in need of a catch up. 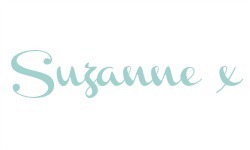 I love that a blog can be like an online diary (albeit one that the whole world can read!) and when I started blogging five years ago, that was my intention. This blog has morphed into a quest to find myself after kids but I do still enjoy offloading. So if you’re missing my weekly Little Loves post (Morgana is having a holiday) consider this a substitute. Incidentally, did you see that I had a good nosey around Morgana’s home earlier this week? People always warned me about the transition into parenting teens: ‘It doesn’t get easier, just different‘ they would say. I never really believed it, until this summer. My youngest daughter started the summer holidays by announcing that she didn’t want me to organise anything for her to do; that she wanted to be in charge of her own summer. Fair enough. All in all it’s been a strange summer with my kids being fairly self-sufficient (apart from needing a car ride every now and again) and me feeling a little lost. Whilst I love that they’ve graduated from the whole ‘what are we doing today?’ phase and the lie-ins until 11am have been nothing short of heaven, it’s taken some getting used to. Oh and just to keep it real, I’ve officially reached the ‘This house is not a hotel‘ stage. Anyone else? As you probably know by now, home interiors is a passion of mine. 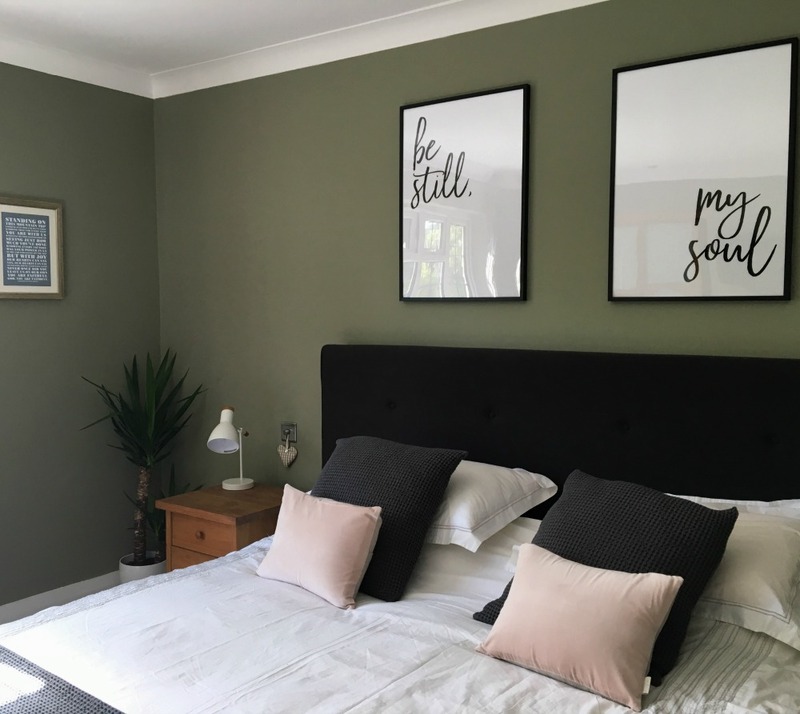 I’ve loved pouring over Pinterest, gathering ideas and planning our two bedroom projects over the last few months. I never dive into anything without preparation and home projects are no exception. I spend ages deliberating over options, filtering ideas, working out costs – making sure that I don’t get carried away! The soon-to-be 16 year old wanted a navy blue feature wall and against my better judgement I agreed. And we (I use the term loosely) braved a much darker colour than our usual safe choice of cream or pale grey. We never do things by halves in this house; the husband has had his own little huge project going on in the back garden this summer – converting the bottom of our garden into a usable space (he’s not doing it himself just to clarify!). What started out as a 4 week project seems to have turned into a 4 month project *sigh*. Sadly it has meant that our garden has been out of use much of the summer but I think it will be A-ma-zing once finished. Oh and the hot tub is very much usable *does a happy dance*. This year we went away during the first two weeks of the summer holidays; I’ve no idea why because about 5 years ago, after a rather disastrous holiday, I declared this a ‘no no’ going forward. It might be unique to us but I always feel that there’s an unhealthy amount of crankiness floating around at the end of a school year. This never makes the best recipe for a good family holiday! However, we did have some amazing experiences and I hope that I never lose sight of how blessed we are to be going away as a family of five. Last summer we were unable to go away because our eldest daughter was in hospital for the entire holidays. We really have come such a long way since then. 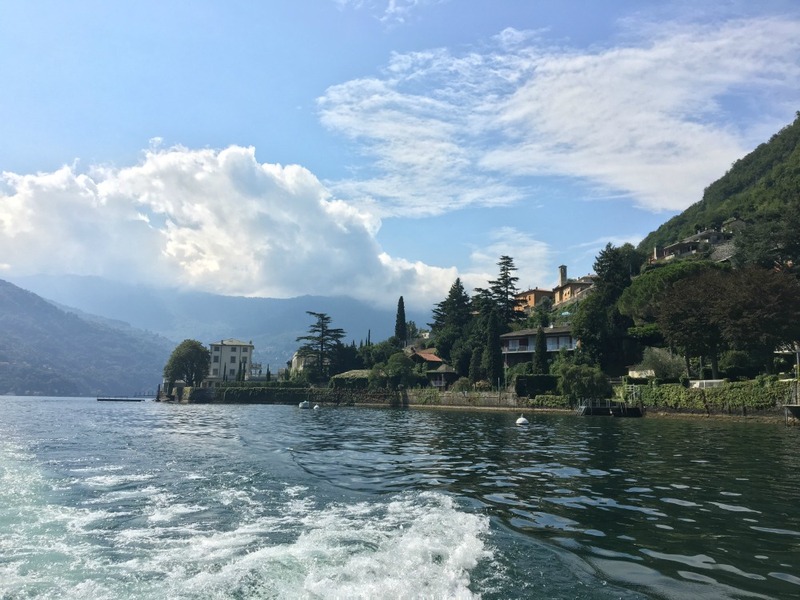 Seeing Italy for the first time as a family was a life goal and Lake Como did not disappoint. The girls were able to get a sun tan (their one and only holiday aim), the boy threw himself into every water sport going and we all had a proper relaxing break whilst seeing a part of the world that was unfamiliar to us – much of it via boat! The hotel we stayed in – Hotel Filario – was fantastic and perfect for accommodating a family of five. Waking up to this view every morning was such a blessing. Moving on to France and we stayed at our own property in Les Gets. One of the many upsides to owning your own home abroad, is knowing the area so well that all map-reading arguments are avoided and dud restaurants are a rarity. Being someone who thrives on familiarity I appreciate having our own home away from home so much. 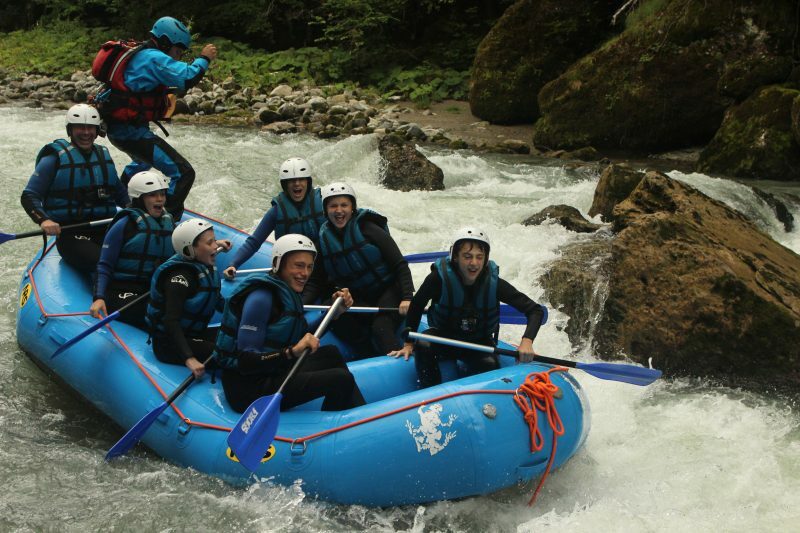 We made some great memories whilst there, white water rafting being a particular highlight. 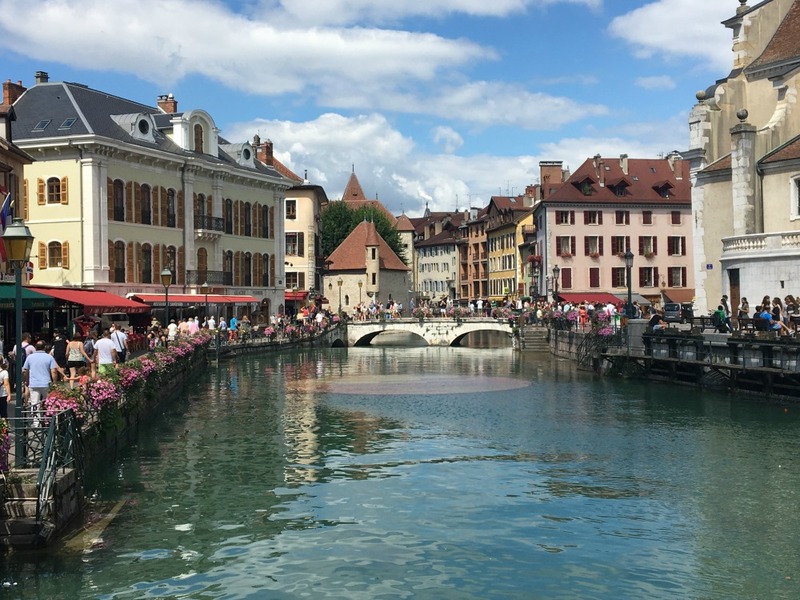 And for the first time we visited the stunning Alpine town of Annecy. What a treat! Have you ever been? Now I can slowly feel summer drawing to a close. The evenings are getting shorter and our early morning trips to the riding stables are accompanied by a touch of mist on the car windows. I love a new season, no matter which one it is; I always feel that it’s just the right time for a change. So I’m oddly looking forward to crisp autumnal walks, blackberry picking (hopefully there’s still some left!) and even lighting our wood burner again. Until then, I will enjoy the last of the sunshine and a quiet few days this week as both girls head off on our church summer camp and my boy goes to France with friends. Of course I will miss them all so much but is it ok to be a teensy bit excited about a child-free house for two days? I don’t need you to answer that! How has your summer been? Are you ready for autumn yet? I picked and ate my first blackberry on 15 July. It was a sharp [!] reminder that autumn was on its way. But there are still plenty left. The weather often turns warm and sunny in September, once the kids are back at school — we can look forward to that! Yes there’s something lovely about that late summer sun isn’t there? Kind of a last hurrah. I do hope we get some. Blackberry and Apple crumble is one of my favourite puddings so I will be off out for a search this weekend. They seem to arrive earlier and earlier each year! Oh gosh, your holiday destination looks beautiful! It must be strange when the children don’t need you in the same way anymore. I’m finding it odd how much more independent my five year old is becoming, I can’t even imagine what it will be like with teens! I made a blackberry and rhubarb crumble this year as both were in season at the same time – this seemed pretty unusual to me, I always associated blackberries with September. Or October even! Last year they were definitely all gone by then. I need to get out this weekend to pick them! The independence is definitely a bittersweet moment that’s for sure. I love being allowed into your life and family . ..reminds me so much of how precious each of our children was when they all lived at home. Now they all live with partners and children it’s a season for us as retired grandparents to daily remind ourselves that the love we hold for them is deeper and stronger now than ever before …..it’s the mature love of a job well done…..our kids aren’t perfect but they are doing well in life and that is a thrill that you and Jeff have in your future too .One of the best things that happen when we all manage get together is the memories that they all hold of their childhoods and teen years and especially holiday memories. It’s those times when we can relive the joy and the laughter and it helps so much now to cover over the hard times that we struggled with in various seasons of life. My kids have been very independent this holiday too, but I hate the 11am lie-ins! They’re getting under my feet having breakfast while I’m having lunch. Glad you had such a lovely holiday. 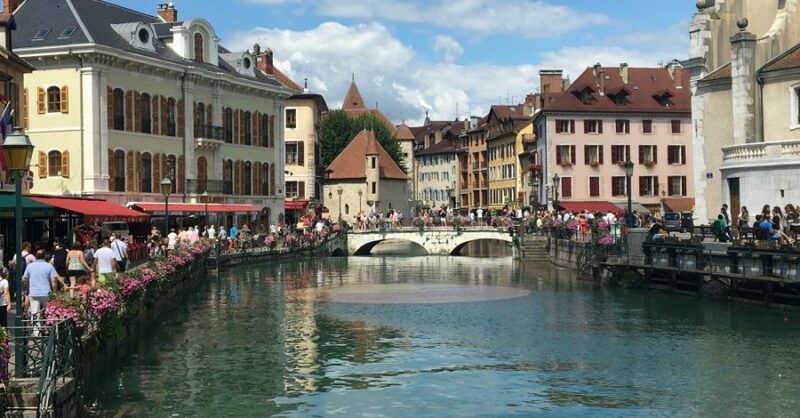 Annecy is my home town’s twin town and I went there twice as a teenager on an exchange visit 🙂 I know what you mean about a ‘home from home’, that is what Padstow is to us, even if it’s just the town rather than an actual home from home. Your two new bedrooms look fantastic and I must admit to being rather jealsou – even more so that it got magically done while you were away! I used to decorate all of our rooms myself but I’ve come to realise that by employing someone to do it we are actually helping the economy so win/win! I know exactly what you mean about those 11am lie-ins and the breakfast stuff still being out and then them not wanting lunch but being starving by 4pm!! What a lovely summer you’ve had! I absolutely love that last photo and I hope you enjoyed your days of blissfulness! Seems like a whole world away now Carol but it was lovely! Love the whole blog those photos Re amazing. So important the photos I have been looking at old albums with the intention of getting rid of some and guess what? I can’t. Memories. Ah it’s so hard isn’t it? I always spend ages and ages pouring over old photographs. The memories are precious. I love a good chatty post – I enjoyed following your holidays. I always remember when me and my sisters got to the age of not wanting to go away with our parents, My Mum and Dad embraced it the first few holidays alone enjoying the freedom, but then they just kind of missed the chaos of it all. Now, we tend to all go away together as a family again – its gone full circle!! 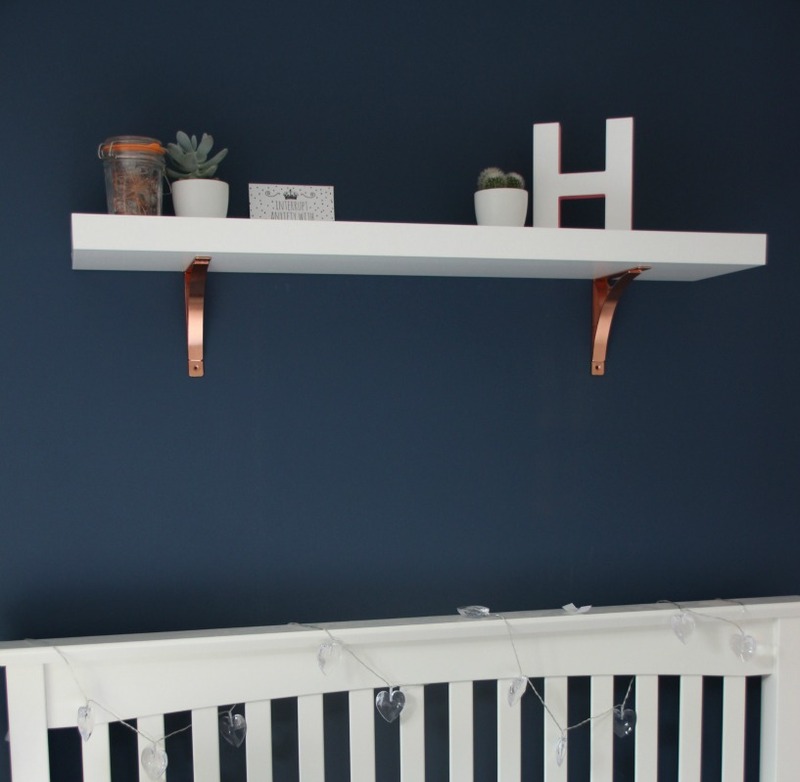 I love your bedroom and your daughter’s navy wall – I am thinking of doing something similar in our bedroom!